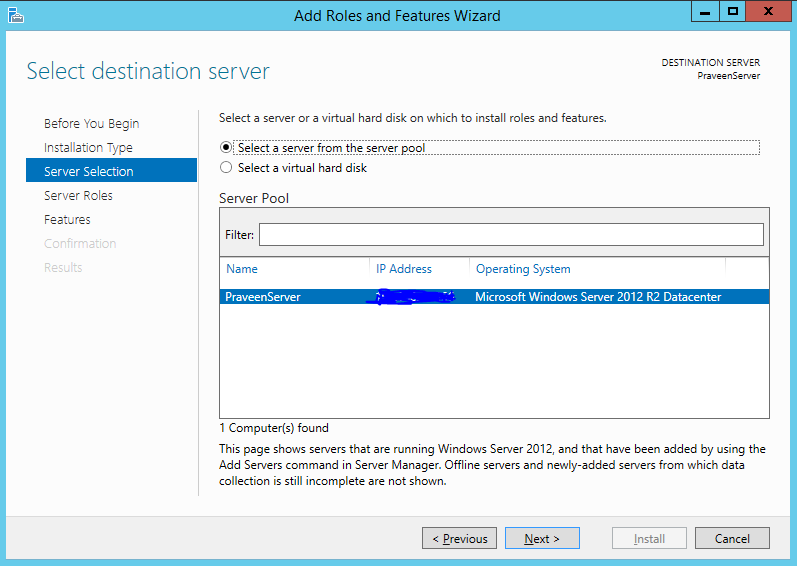 So I am writing this post for anyone who wants to set up their own Lab to test and install AAD Connect, probably later we can visit ADFS. 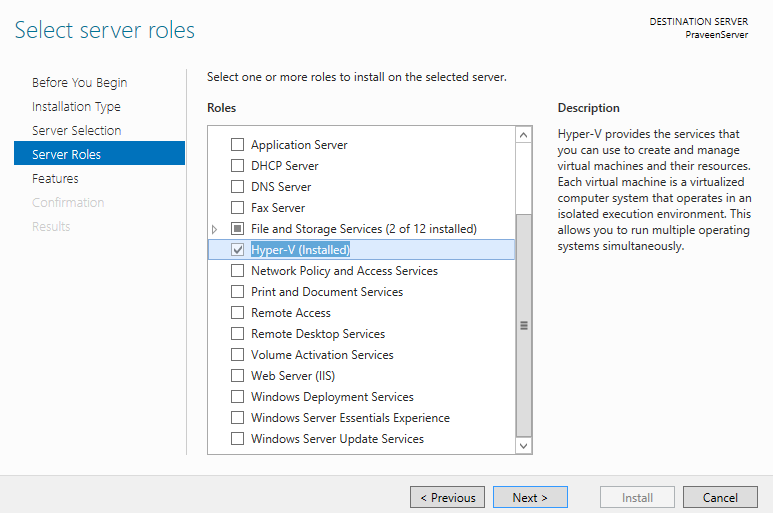 In this post, we will talk very briefly about installing the Hyper-V role. If you have already done this and aware of how to do this you can skip this part. Select the Sever being displayed. Now select Hyper-V and hit next and complete installation. The server will reboot. Note: The above screenshots showing as "Installed" as I had already installed in my computer to test another machine.